Providing comfort, conversation and beauty, the Opal Cushion Collection is a popular choice from Jensen Leisure. Ipe is a handsome chocolate brown when new and will gracefully transform to a mature, elegant silver patina. 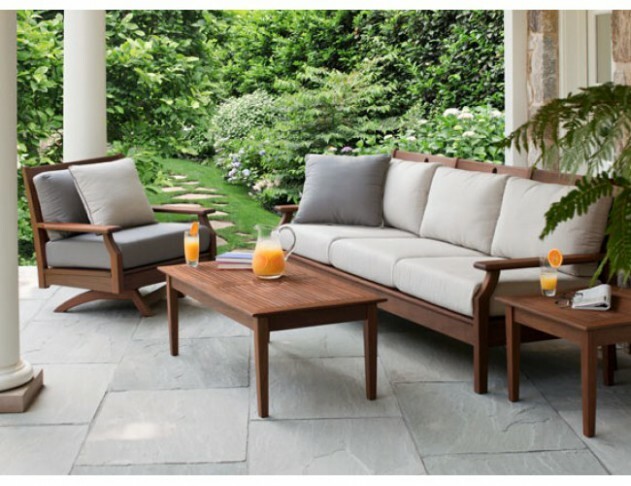 Incredibly strong and dense, with high wear durability, the Opal Cushion Collection will be the highlight of your outdoor space for years to come.